If you want to travel to Russia then the first step in that journey is to obtain the Russian Tourist Visa. You can try getting one through a Tourist/Visa Agency in India. 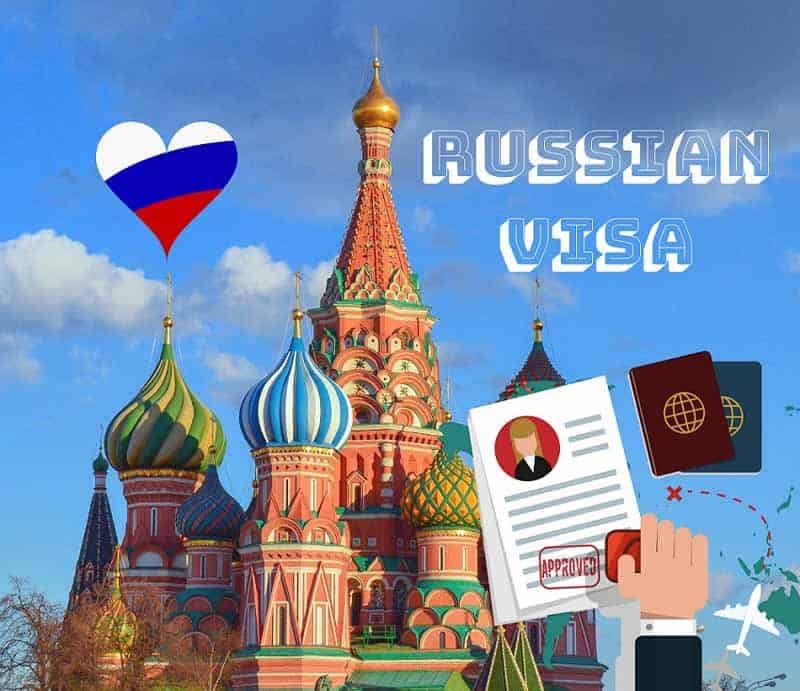 However, if you are the kind of person who likes to do things by yourself then getting a Russian Visa is very easy if you follow our 4 step Russian Visa guide. The first and foremost thing that you need to do for applying Russian Tourist Visa is getting an invitation letter from a travel agency based in Russia. The agency must be mandated by law under the Unified Federal Register of Tour Operators. Only then will your invitation letter be considered valid by the Russian Visa granting authorities. Some sources on the internet claim the original invitation letter must be presented by you while applying for the visa. However, that is not necessary. A printout of the scanned copy of the invitation letter is enough. Here are some good online travel agencies from where you can procure the invitation letter for Russian Visa ; The prices quoted are for visa invitations with stays up to 30 days. We recommend you go with russianvisahelp.com/travel as they are prompt in their response and the rates are nominal. You just have to visit the website, fill in the details and pay online. Some websites only accept Paypal payments. As part of the visa application process, you are required to create a rough travel itinerary. You’d have to book hotels and appropriate flight tickets like onward and return journey. This is so that the visa granting authorities know that you are coming into the country solely for the purpose of travel and will be returning back to your home country. If you are the kind of person who follows the philosophy of “making a travel plan on the spot” then no need to worry. You can make flexible hotel bookings through “Booking.com”. You don’t have to pay for hotels at the time of the booking. Another advantage is that even if you paid for your hotel stay, some hotels offer zero cancellation charges if at the last minute you wish to change your plan. Regarding flight bookings, use skyscanner.com for cheap flights and make sure to book tickets as far ahead as possible from your journey date as you’ll get the tickets for lower rates. Take a printout of your hotel booking and flight reservations as they should be submitted along with your visa application form. Print your visa application form and submit along with the supporting documents to your chosen center at the appointment time allotted to you. So what are the supporting documents to be carried along with the visa application form? Upon submission, you’d have to pay a visa processing fee of Rs. 1,300 if you are willing to collect the visa after 3 days or pay Rs. 2,600 to get it on the same day. If you opt for express visa processing, you can expect to receive your Russian visa in anywhere between 30 mins to 1 hour. However, please do keep in mind that merely submitting your visa application does not mean you’ll receive the visa. The final say on whether visa has to be granted to you or not lies with the Russian Consulate. The visa processing fee is non-refundable even if your visa application is rejected. That’s it. 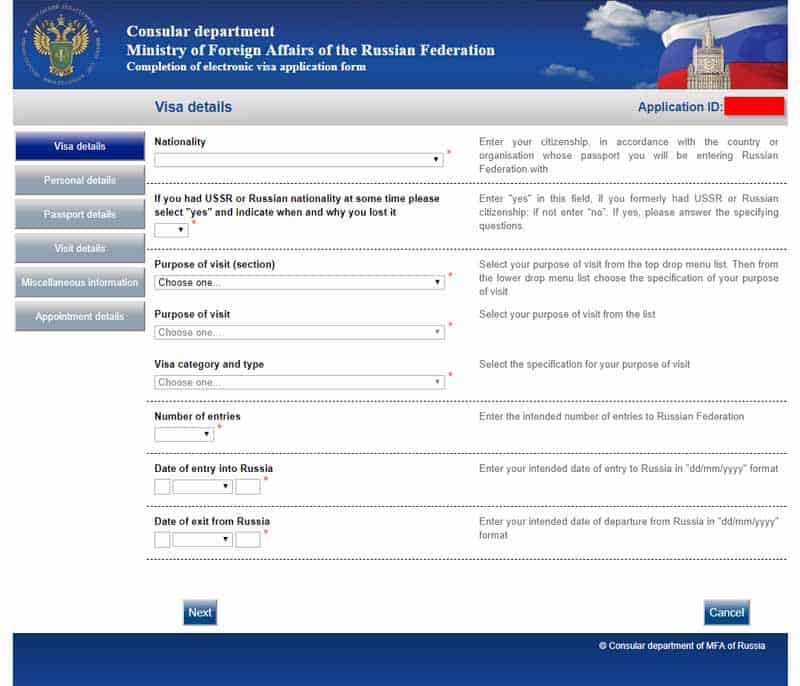 Russian Tourist Visa in 4 simple steps. If you have any doubts regarding the visa process please address them in the comments below. Also Read: What Currency Should You Take To Russia? Hint : It’s not the Russian Ruble!